There are tons of benefits to buying a used car, and if you’re looking for a new family vehicle, pre-owned SUVs are some of the most popular choices around. Whether you want a fuel-efficient crossover for errands or a sprawling SUV for road trips, let Westpointe Chrysler Jeep Dodge help you find the vehicle to make your life just a little easier. Get a sneak peek at our inventory below, and stop by for your test drive! 2016 Jeep Cherokee Latitude CARFAX One-Owner. Clean CARFAX. Odometer is 5580 miles below market average! Do yourself a favor, hop off of the internet, and get behind the wheel of this awesome ride. Stop by Westpointe CJDR in Yukon and buy hassle free. All of Westpointes pre-owned inventory has been Westpointe Certified through a rigorous 64 point inspection. All from the dealer who makes it affordable. Westpointe CJDR in Yukon. Where we may be hard to find, but the deals are always easy. Visit us at www.westpointeok.com or TEXT DIRECT AT 405-494-0748. 2016 Jeep Wrangler Unlimited Sahara Do yourself a favor, hop off of the internet, and get behind the wheel of this awesome ride. Stop by Westpointe CJDR in Yukon and buy hassle free. All of Westpointes pre-owned inventory has been Westpointe Certified through a rigorous 64 point inspection. All from the dealer who makes it affordable. Westpointe CJDR in Yukon. Where we may be hard to find, but the deals are always easy. Visit us at www.westpointeok.com or TEXT DIRECT AT 405-494-0748. 2016 Jeep Wrangler Unlimited Sahara Clean CARFAX. Do yourself a favor, hop off of the internet, and get behind the wheel of this awesome ride. Stop by Westpointe CJDR in Yukon and buy hassle free. All of Westpointes pre-owned inventory has been Westpointe Certified through a rigorous 64 point inspection. All from the dealer who makes it affordable. Westpointe CJDR in Yukon. Where we may be hard to find, but the deals are always easy. Visit us at www.westpointeok.com or TEXT DIRECT AT 405-494-0748. 2005 Jeep Grand Cherokee Laredo Odometer is 49312 miles below market average! Do yourself a favor, hop off of the internet, and get behind the wheel of this awesome ride. Stop by Westpointe CJDR in Yukon and buy hassle free. All of Westpointes pre-owned inventory has been Westpointe Certified through a rigorous 64 point inspection. All from the dealer who makes it affordable. Westpointe CJDR in Yukon. Where we may be hard to find, but the deals are always easy. Visit us at www.westpointeok.com or TEXT DIRECT AT 405-494-0748. 2012 Jeep Wrangler Unlimited Sport Do yourself a favor, hop off of the internet, and get behind the wheel of this awesome ride. Stop by Westpointe CJDR in Yukon and buy hassle free. All of Westpointes pre-owned inventory has been Westpointe Certified through a rigorous 64 point inspection. All from the dealer who makes it affordable. Westpointe CJDR in Yukon. Where we may be hard to find, but the deals are always easy. Visit us at www.westpointeok.com or TEXT DIRECT AT 405-494-0748. 2016 Jeep Wrangler Unlimited Sport Clean CARFAX. Odometer is 19275 miles below market average! Do yourself a favor, hop off of the internet, and get behind the wheel of this awesome ride. Stop by Westpointe CJDR in Yukon and buy hassle free. 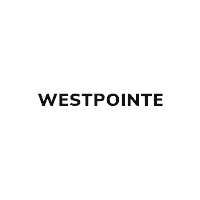 All of Westpointes pre-owned inventory has been Westpointe Certified through a rigorous 64 point inspection. All from the dealer who makes it affordable. Westpointe CJDR in Yukon. Where we may be hard to find, but the deals are always easy. Visit us at www.westpointeok.com or TEXT DIRECT AT 405-494-0748. Why Try a Used SUV for Sale? From the Dodge Durango to the Jeep Cherokee, there are tons of exciting SUVs hitting the market every year. So, why try a used SUV for sale instead of a brand new model? Modern vehicles are safer and more connected than ever before, so you can get tons of great features at a steep discount if you opt for last year’s model. Not only will you save on the sticker price, but you’ll enjoy big savings on costs like insurance and registration as well. And many models even include a vehicle history report, so you can buy with total peace of mind. Contact us to find out more!